This Independence day we’re connecting three iconic cities of Punjab – Chandigarh, Ludhiana & Amritsar with Intercity! Yes, you heard that right. Amritsar is now just an Intercity away from both Chandigarh & Ludhiana. 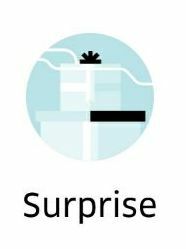 Lucky riders will see a ‘Surprise’ Option which will let them request rides to Chandigarh or Ludhiana for even lower fares. Door-to-door service – You have the flexibility to select the pickup and drop-off location of your choice. Ride straight to Amritsar right from your doorstep. Availability – Intercity rides are available anytime and on-demand. At present, you cannot schedule your intercity rides. Tolls and parking charges are not included in the fare.